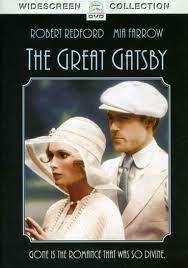 Is it just me, or does anyone else think that the remake of The Great Gatsby had actually been released last year? I just thought that with all the hype and trailer releases that have been around for ages that I somehow managed to miss it. But no, it's to be released next week....and I can't wait. Well, I've waited long enough for it already. I was in First year in secondary school. One day my friend Majella gave me a note had had been given to her, for me by HIS friend. Ah yes, this was in the pre-text days. 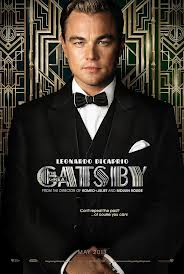 They are showing "The Great Gatsby"* in the school hall on Thursday evening. Will you come with me? * By the way, he didn't really put in the inverted commas, that's just me, as a teacher being unable to resist putting them in now! I wasn't even sure who he was as he was in a different class, but Majella made me agree! So I wrote a note, gave it to Majella to give to his best friend who passed it on to him, agreeing to meet him. All that week I was sick with worry. What if he tried to kiss me? Help! There was also the added pressure of being a boarder in school. Once there was any sort of a social event in the pipeline we had to be mini Mother Theresas or our punishment was not being allowed to go. And if any one person was particularly misbehaved, then EVERYONE was stopped. So it was with huge sighs of relief that our spotless little souls were dismissed from the study hall in time for the film. There was no question of wondering what to wear on your first date. As we were boarders we had to wear our uniforms, while all the day pupils arrived in sporting the latest fashion......a checked shirt and cord jeans! "They're sitting a few rows back. Wait til it starts and I'll swap places with him." I couldn't answer as my mouth was so dry. Just to really make me feel really old, I have to reveal that the film was shown on those reel things projected onto a big sheet on the wall! It took Mr Bennett ages to get it started. It chugged and skipped and eventually spluttered into life. 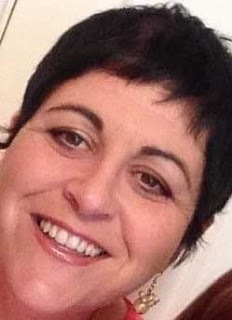 Majella slid out of her seat and ducked her way back to the other seat. A few seconds later HE slid into the seat beside me. I was sure the sound of my heart was drowning out the whirring of the machine. "Hi", I managed to croak back. And that was it. I honestly think they are the only words we spoke to each other all night. I sat, eyes fixated on the screen, but I honestly haven't a clue was happened in it! Every little movement HE made, made me jump. Oh my God, is he going to put his arm around me? If he goes in for a kiss here in the middle of everyone, I'll clock him! I think we may have actually held hands for the last quarter of it. Then the lights went up and we all jumped to our feet. Sr. Geraldine and Sr. Pius were standing at the hall door waiting to frog march all of us boarders back to our dormitories. "Goodnight. I had a great time." WTF! "Me too, see you tomorrow." and off I skedaddled. But now, even the mention of "The Great Gatbsy" makes me smile at the remembrance of an age of innocence. And I am so looking forward to actually being able to concentrate on it this time around! hi, i read your article that was very nice. this article is very heipful for me thanks for writting.